Monkshood (Aconitum napellus) is an erect, tuberous-rooted, herbaceous perennial plant. It is chiefly native to the mountainous parts of the northern hemisphere. A. napellus produces hooded, deep purplish-blue to violet flowers. 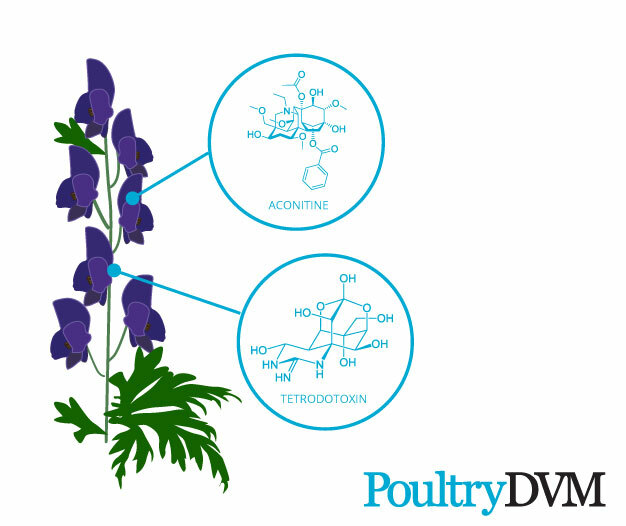 The drug aconite is made from the leaves and roots of A. napellus and was once prescribed as a cardiac and respiratory sedative. All parts of A. napellus is extremely poisonous to poultry, as it contains a number of alkaloids, specifically aconitine. 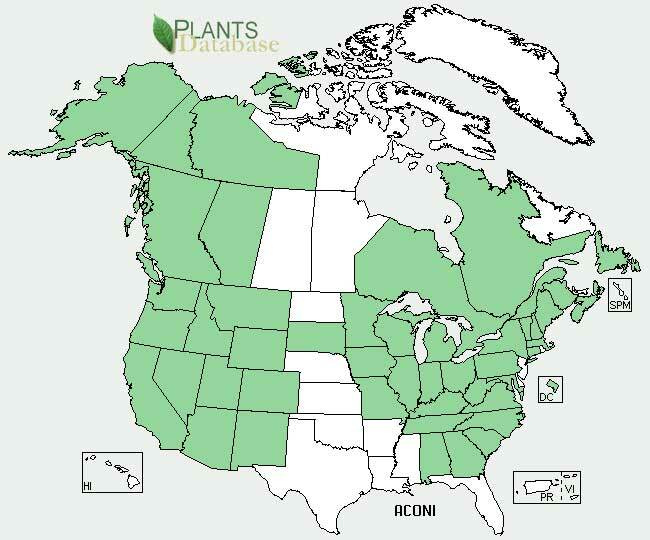 Over 14 other alkaloids have been identified, some of which include mesaconitine, jesaconitine, hypaconitine and deoxyaconitine. If ingested, even a small amount, marked symptoms appear within a few minutes. When lethal doses have been ingested, death usually occurs within 6 hours. The initial signs are gastrointestinal but it is the affect on the heart, where it causes slowing of the heart rate, which is often the cause of death. The toxin can also be transferred through direct contract with A. napellus. This is because the aconitine toxin is absorbed easily through the skin.